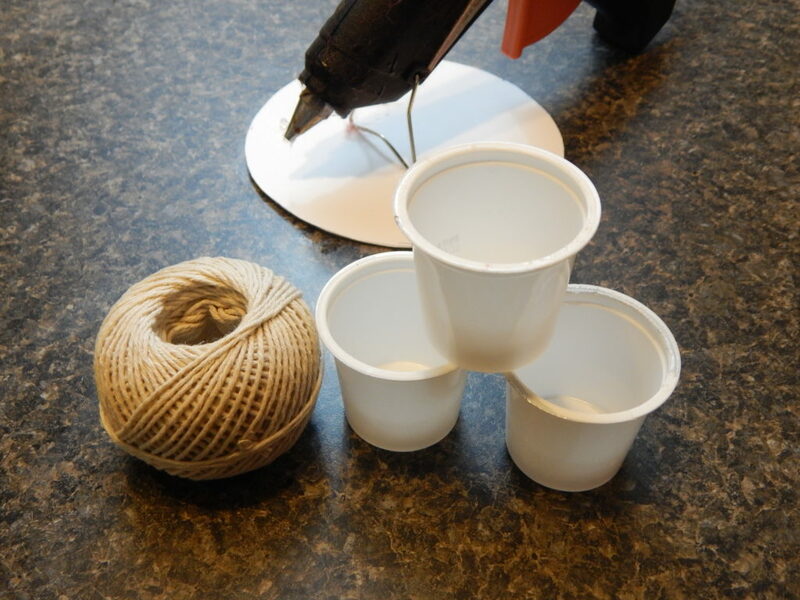 Do you have a stack of K-cups lying around waiting to be made into the perfect craft? 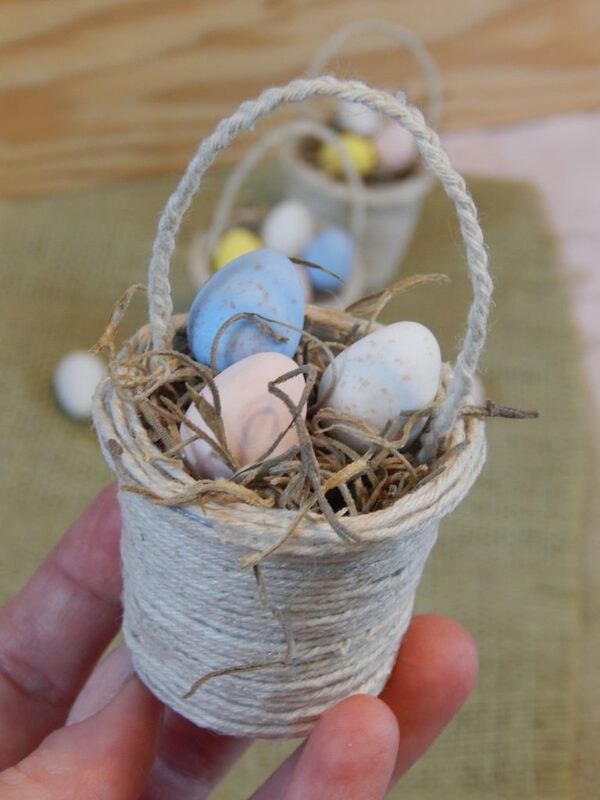 Make some of these super cute mini Easter baskets! I love my Keurig… The touch of a button and I have a cup of coffee, and that makes me super happy. However I know that k-cups are not very eco friendly, so I look for ways around that! Most days we use a reusable cup, just filled with our favorite coffee and it works beautifully. Sometimes though when we have guests, or find a special drink we want to try I buy the disposable cups. 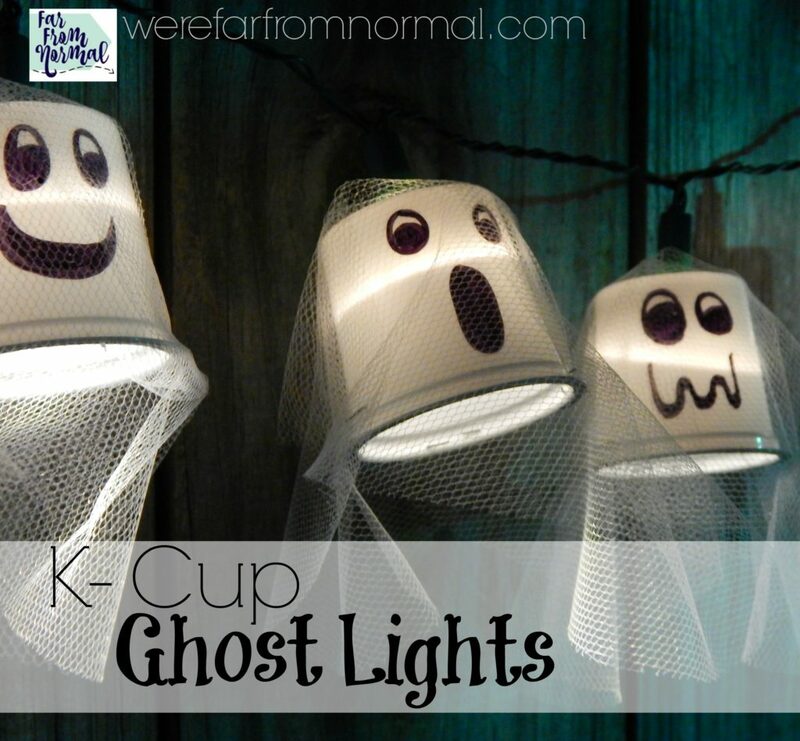 When I do I keep them… I have a little stash of k-cups just waiting to be made into fun little crafts! 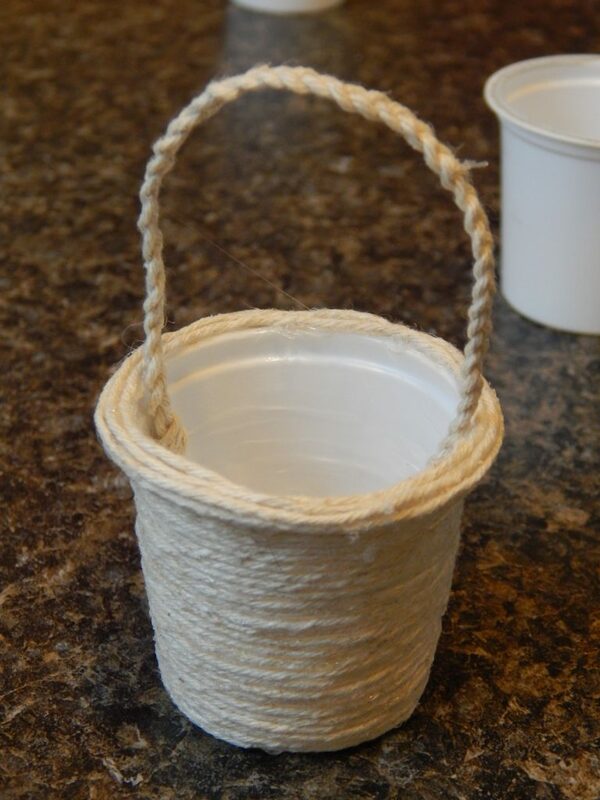 With Easter coming up I thought it would be really fun to turn them into little baskets! These would be perfect for individual treats, you could put chocolates or toys in them and wrap them with cellophane, you could use them as place settings for your Easter dinner, or even filled with flowers for a pretty decoration! They’re super cute and full of possibilities! These are pretty easy to make and only require a few supplies so you’ll have them ready for Easter festivities in no time! 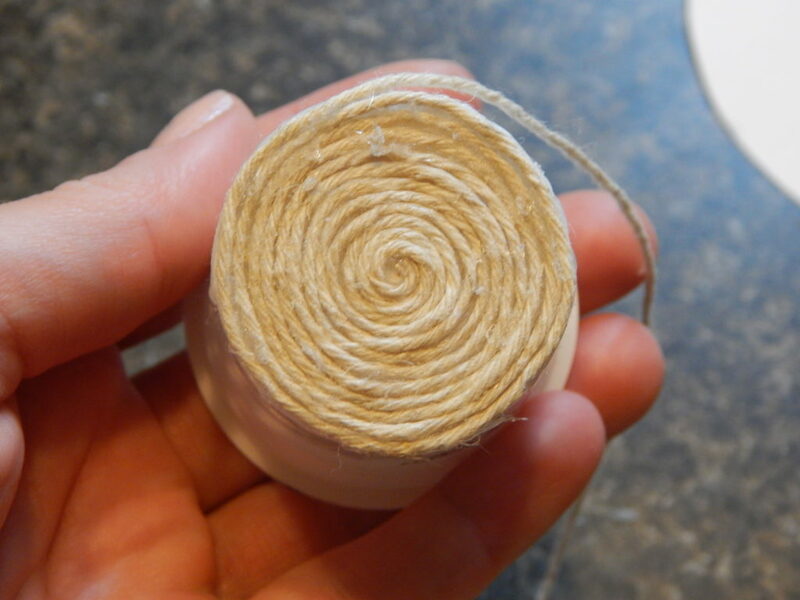 Now you’ll want to put a bead of glue in a circle around that and lay down more twine. 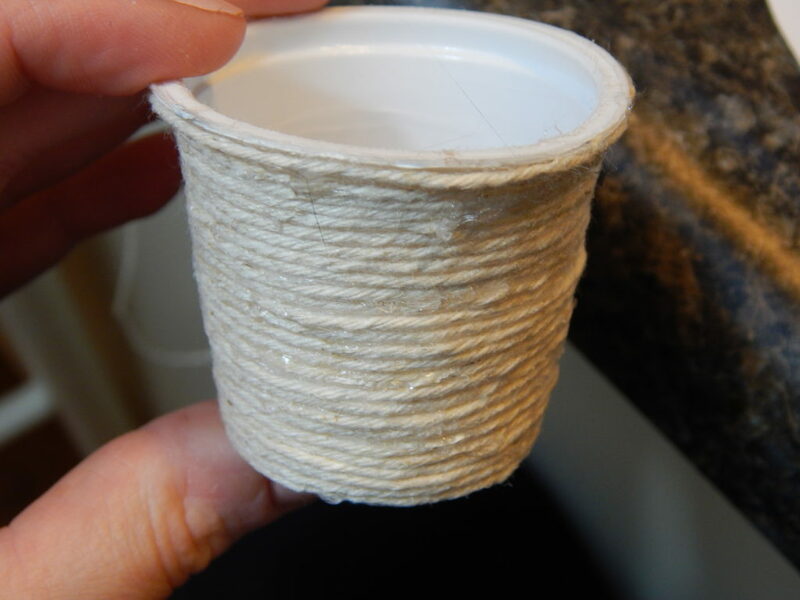 Continue adding glue and twine until you have the whole bottom of your k-cup covered. 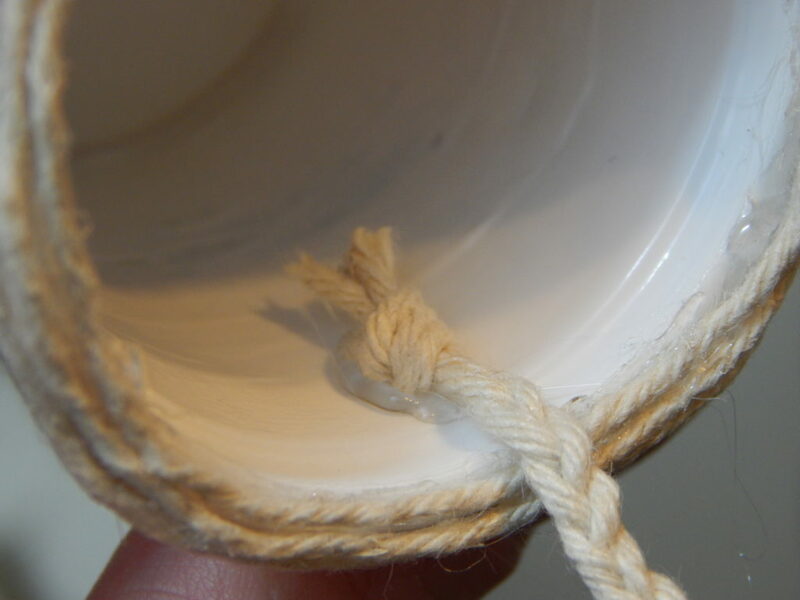 Continue up the sides working a little at a time until you have your entire cup covered. Now cut three pieces of twine about 6 inches long. Tie them together on one end. 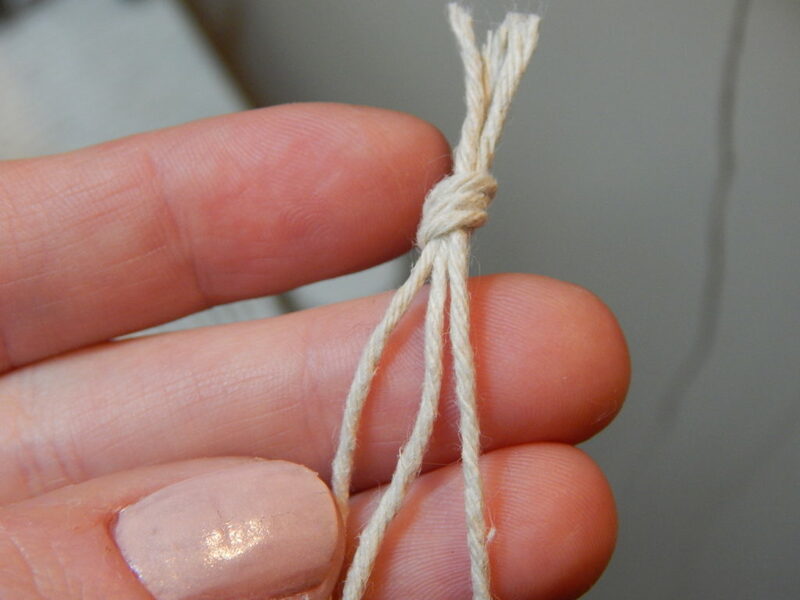 Now braid your twine together and the the other end. 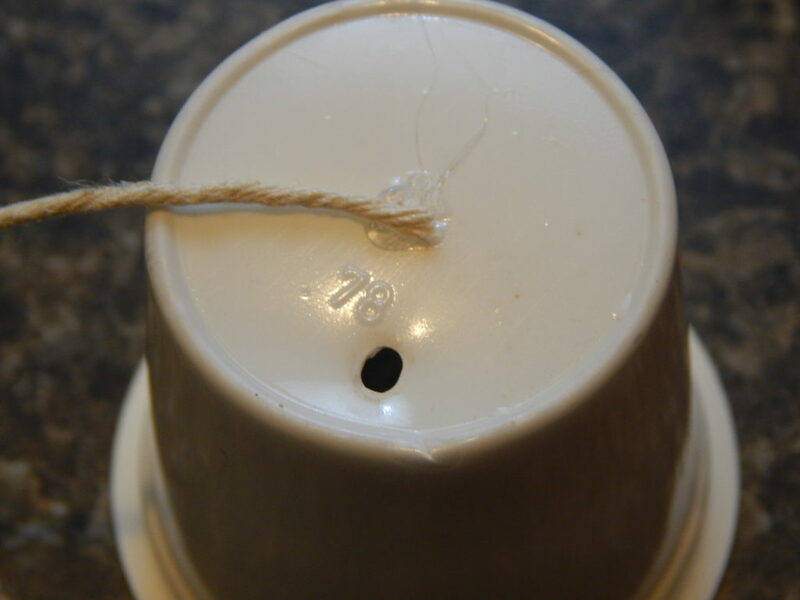 Glue one of the knots on the inside of your k-cup. 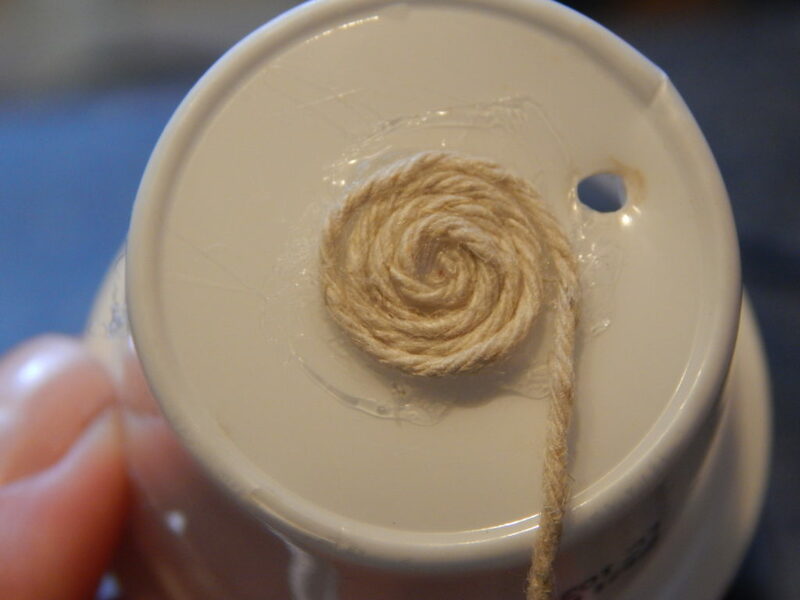 Now glue the opposite end in the opposite side of your k-cup, creating a little handle! Once you’ve got that all finished it’s time to fill it! I used Spanish moss because I like the look of it but if you want to use Easter grass or shredded paper… whatever you like! Then fill it with your treat of choice! How will you use these mini Easter baskets? What will you fill them with? Oh my goodness I love this cute idea! 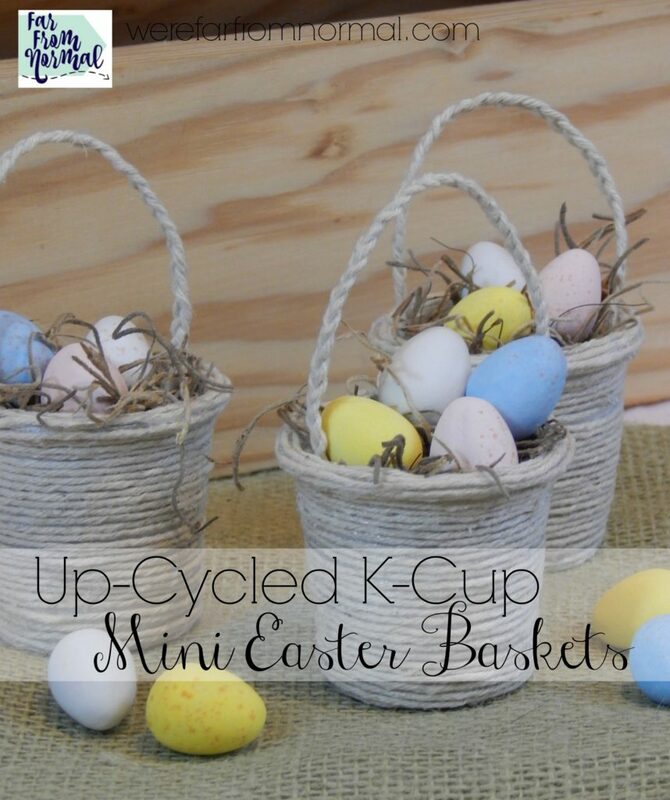 With a new Keureg, I too have been feeling a little remorseful about the waste, but these adorable baskets will be a great addition to my miniture Easter tree I put on my dining room table every year! 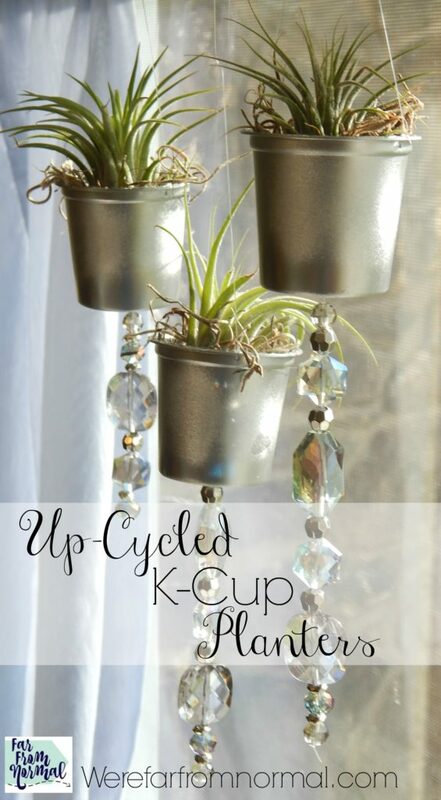 I also love the idea as using the kcups for planters! Thank you! Consider me very impressed, and very much craving Cadbury Mini eggs. We do have a glue gun and we do have twine, although we don’t have K-cups! But I bet they’re very easy to get from anyone.